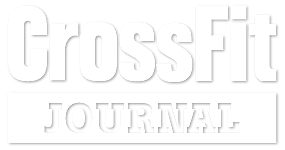 CrossFit Optimistic North Central and CrossFit Optimistic Alamo Heights are family owned and operated gyms in San Antonio, Texas. At CrossFit Optimistic you are more than a member, you are an athlete that we value…immensely. Certainly we want you to maximize your workouts and meet your goals. But we also want to hear about your promotion at work, your child’s soccer game, the family fishing trip to the gulf or that 80′s concert that you saw at the AT&T center. We genuinely care. Oh…by the way…it just so happens that we CrossFit together. Before you join our CrossFit gym, you will have a one-on-one consultation with Coach Anjo. She will tell you about our community, culture, and workout programming. We want to get to know you and you get to know us to ensure we can meet your fitness goals!